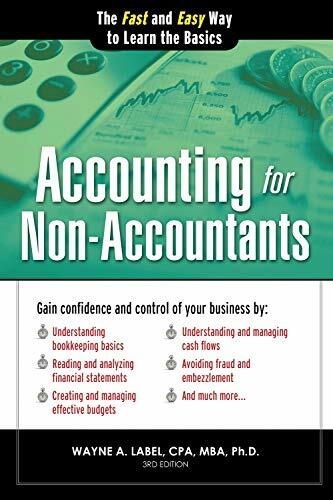 Accounting for Non-Accountants is the must-have guide for all of us who have never taken an accounting class, are mystified by accounting jargon, and have no clue about balance sheets, income statements, payroll management, corporate taxes, or statements of cash flows. "Dr. Labels explanations are simple and straightforward. " "This will help me a lot as I set up my own business. " "I have worked in accounting for over twenty-five years, and this is the best book I have seen to help people with the basics of accounting."